Select your NEW Tier 4 LS Tractor! You have a deep passion for working your land, grounded in the pleasure of living a simpler, more natural way of life. Your hard work rewards you with a sense of freedom and accomplishment. For you it's not just the satisfaction in getting the job done, but the pride in doing it right and doing your best. It's simply your nature to excel in everything you do. At LS Tractor, we understand your passion for the land and your desire to excel. It's an awareness born of our own passion and unwavering dedication to provide high quality, high value equipment, as well as a commitment to deliver exceptional customer satisfaction. Educate Yourself - If you're looking for a 23HP - 97HP compact tractor or utility tractor, don't just look at engine horsepower. Compare the features. Compare the type of PTO and the number of operating speeds. 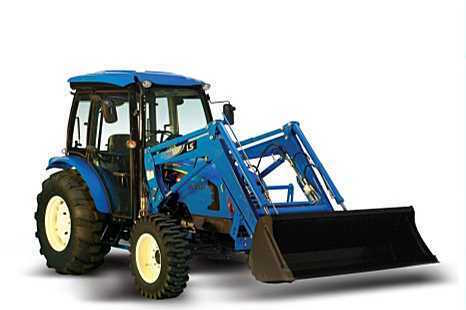 Check the lift capacity of the loader. Ask important questions. Does the loader come with a grill guard? Is the loader steer skid compatible? Does it cost extra to add remote hydraulic valves? What about a draw bar or a rear work light? Get More - We invite you to compare before you buy. Check out our exclusive Get More features that come standard on our tractors rather than as expensive options. Features that make doing your work more efficient, more comfortable and more enjoyable. Make a Smart Choice - You are not one who simply follows the herd. For you a tractor is a functional tool, not a color of paint. We encourage you to compare LS Tractor versus the other brands because the more you look, the more you'll see that you get more with an LS Tractor. You also have our commitment to deliver exceptional customer satisfaction. All this makes choosing an LS Tractor a smart choice.